Villa Oasis stands within a beautiful and Sunny property, perfect for those who love nature. Immersed in its peaceful and unspoiled countryside, with the green of olive, mulberry and oak trees, the house will welcome you to a beautiful and relaxing atmosphere. The house is located on the beautiful and harmonious hills of Savoca countryside, in the suburb of the ancient Casalvecchio, a few kilometers from Taormina. 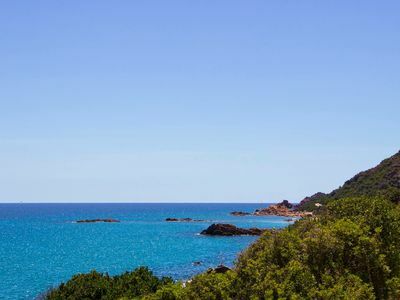 An idyllic location for couples and families (recommended for children at least 4 years). Privacy and relax reign supreme in this place. You can only hear singing birds and cricket and you can enjoy the silence and the sun of Sicily. From All Properties You can see Mount Etna and a breathtaking sunset. On Hill pristine Behind the house it’s always nice to get lost looking for oregano, asparagus and wild plants. The exterior is a natural oasis of ancient olive and mulberry trees. 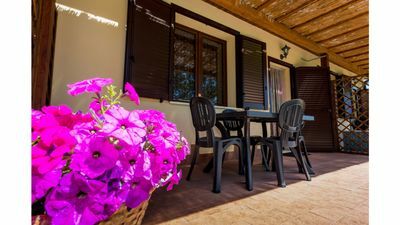 The house is completely surrounded by a furnished terrace with tables and chairs and sitting in the shade of the trees. It is also equipped with an outdoor kitchen and a barbecue corner: our guests love to cook meat and eat under the stars. 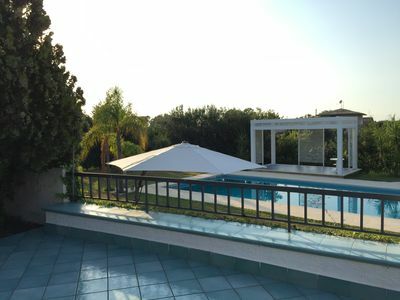 Besides enjoying the beauty of nature that surrounds the house, you can not love the pool - 6 meters wide, 12 meters long, deep between 1.30 to 2.50 meters - and the beautiful terrace equipped with every comfort: chairs deckchairs, sun beds and umbrellas, outdoor shower and relaxation area in the shade of an oak tree. 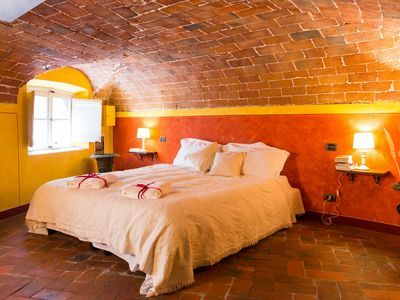 Villa Oasis is a stone farmhouse dating back to 1930, renovated with taste and attention to detail and a refined rustic style that exudes an atmosphere of ancient times. The villa has two entrances: one from the kitchen and one from the living room. The country-style kitchen opens onto a large dining area with a large rectangular table with 10 seats and a corner fireplace. 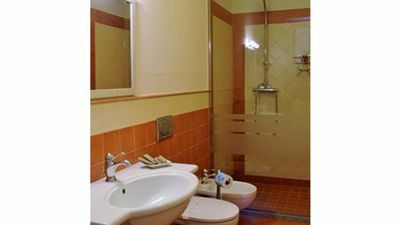 Alongside the kitchen, there is a bathroom with shower. The large window in the living room is the second entrance to the house. 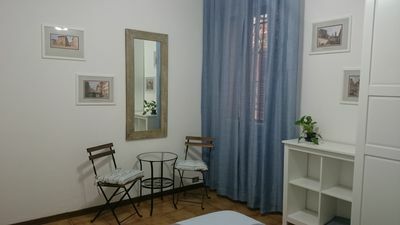 Connected to the dining area by a brick arch, the room is large and bright; it is decorated in a modern Mediterranean style and has a 42 inch tv and three comfortable sofas. 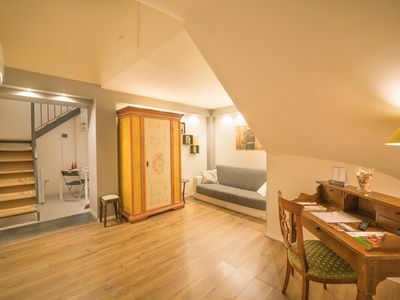 The first floor is a lovely attic with 2 bedrooms, one double and one with 2 single beds, both with air conditioning. 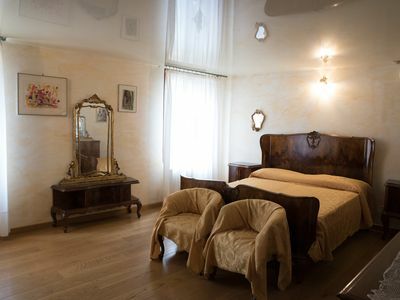 The master bedroom is on the lower floor: with its large ancient walls it is naturally cooled. The furniture is a mix of Sicilian and contemporary style, well finished and with attention to detail. All rooms are comfortable and equipped with everything necessary. Inside the house you will experience a warm feeling of pleasure and well-being. Villa Oasis is located away from traffic and noise. 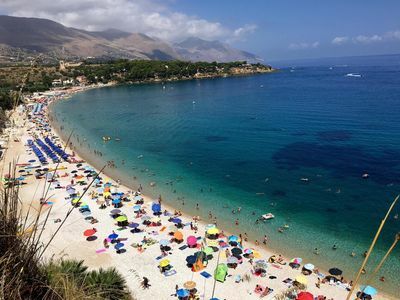 The nearest village, Casalvecchio, has a pharmacy, a tobacconist, two butchers, two small grocery and a bar where you can enjoy the wonderful Sicilian granitas, croissants and pastries. The location is strategic to reach Savoca, Forza d'Agro, Letojanni, Giardini Naxos and Taormina. NB: we emphasize that Villa Oasis is in the countryside, but it is not completely isolated, indeed there are some nearby properties inhabited by peasants. This area is very quiet, as the whole area of Taormina, among the safest in Italy. I will wait for my guests out of the next highway and I will drive them to the villa. I will show them the entire house, will give some informations and tips about places, food and thinks to do. The advice I offer them is always very welcome. I'm available for every request, need and problem. Central Station House "Virginia", comfort and charm! 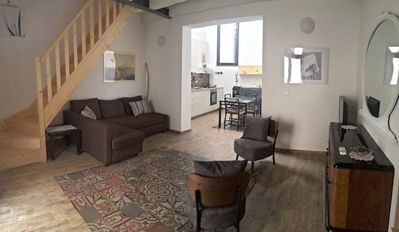 Pagliacorta 3 - in full center with spacious rooms - quiet and quiet!